Summer gardening in Melbourne is an Yin/Yang experience. We need the heat to bring on the tomatoes, basil and beans: too much, and the plants suffer badly from heat stress. The temperatures soared last week to over 40c for two days: this is a taste of what’s around the corner. Melbourne can often experience heat waves of 44 degrees celsius for four days in a row, followed by cooler days in the 30s. On extremely hot days when north winds gust at over 50 km an hour, we self- evacuate in line with the Victorian policy of Leave and Live, which I have mentioned in a previous post. On these days, the garden hangs on, just. Tomato News. My triffid tomato, the miniature yellow pear, is still growing madly and is covered in hundreds of baby fruit. I will definitely save this seed. 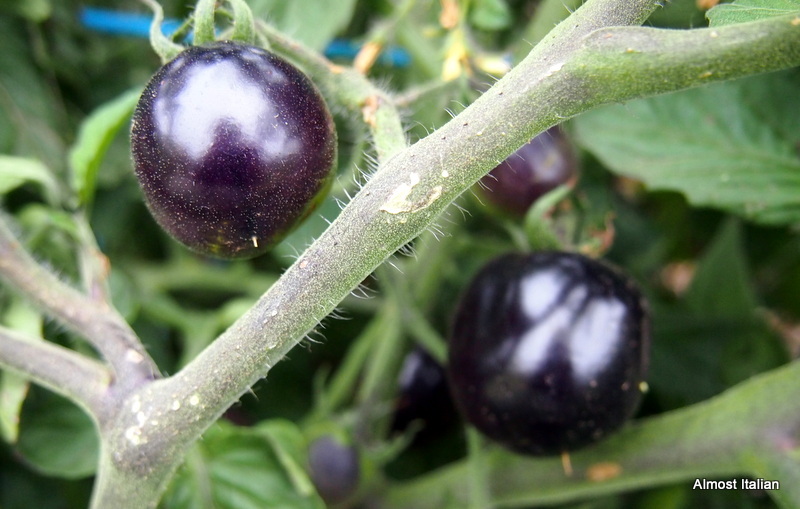 My son planted some weird black tomatoes, the seed bought on eBay. They look like some awful deadly nightshade cross between a potato and a tomato. They are still too young to eat so wait for the reports in February. There are six plants so ‘fingers crossed’. 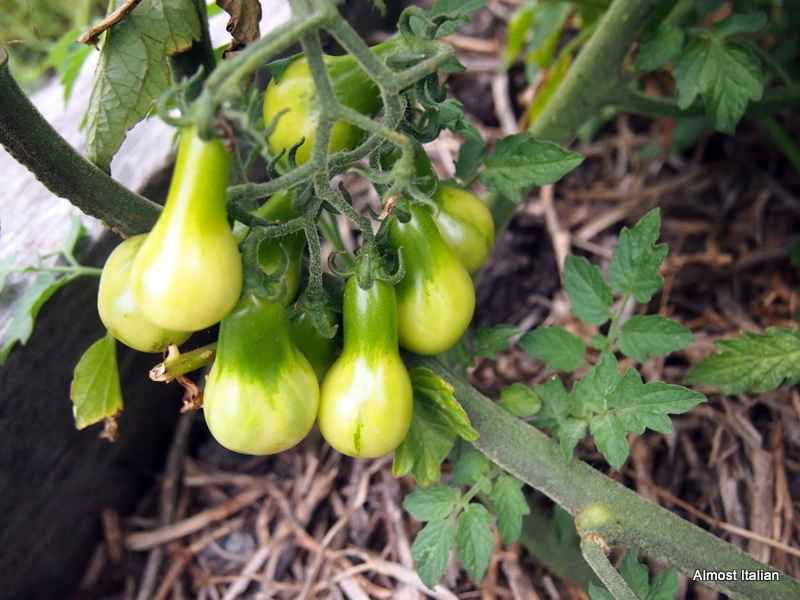 The Rouge de Marmande, my favourite tomato, were planted a little late so these fruits won’t appear on the table until February. I forgot to plant a green zebra tomato this year. What an omission; I will miss their green stripes in the the tomato salad bowl. It is definitely the year of the cucumber. I had some old seed to use up a few months ago, and voila, they all came up. Although not fond of apple cucumbers, I am investigating using them in some lovely Yunnanese dishes, with loads of chilli. I only notice two Lebanese cucumbers for green munching and pickling. The strawberries are producing continuously, thanks to the netting which has 20% UV shadecloth, and the addition of mulching with pine needles. At last a use for the dreaded pine trees that inhabit our 20 acre block. The task of sifting the seed has begun. I found this fabulous sifter in Bas Foods in Brunswick, near Melbourne. A ceelik , I think it is Turkish in origin. 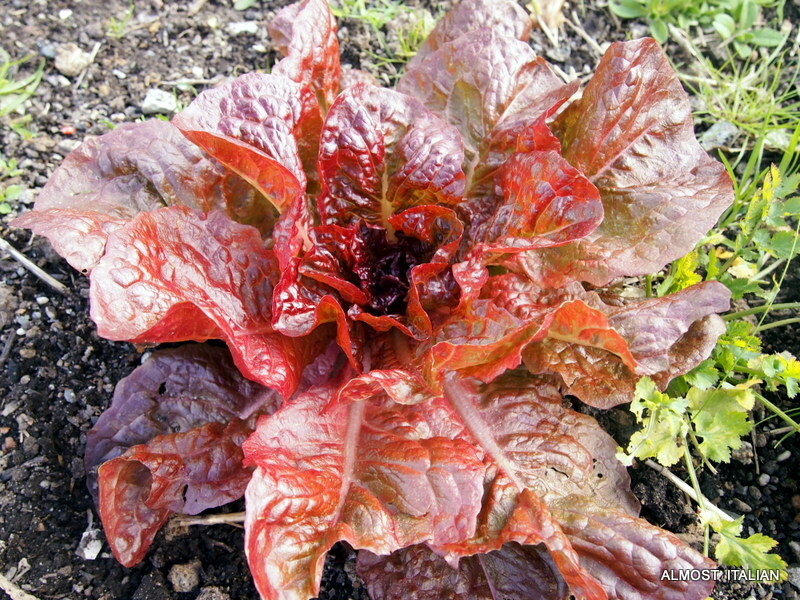 I have saved my own Cos and Red leafed lettuce for years. It germinates in any season and there are always hundreds of seedlings to give away, thus keeping the strain going. The cavolo nero dried seed pods needed splitting open by hand. Seed saving is one of the real pleasures of gardening, knowing that you have selected the best specimen for your own micro climate. Garlic cleaning has begun. Last year the garlic lasted for 12 months without shooting, thanks to correct storage in the dark, in an airy container. This year, I plan to store them in these old Chinese steamer baskets, covered with hessian, in the larder. The garlic crop was disappointing in size due to lack of rain in winter and early Spring. Our total rainfall this year was 587mm, compared with 670 mm in 2013 and 711 in 2012. As we are in the midst of an El Nino cycle, watering needs to happen more consistently in Winter and Spring, especially as garlic requires it to fatten up. Winter can often be our driest period. We forget this, thinking that cold equals wet! I leave all the radicchio to go to seed as the flowers do their job attracting bees and insects for pollinating the tomatoes, pumpkin, cucumber and so on. And their cornflower blue is so stunning. 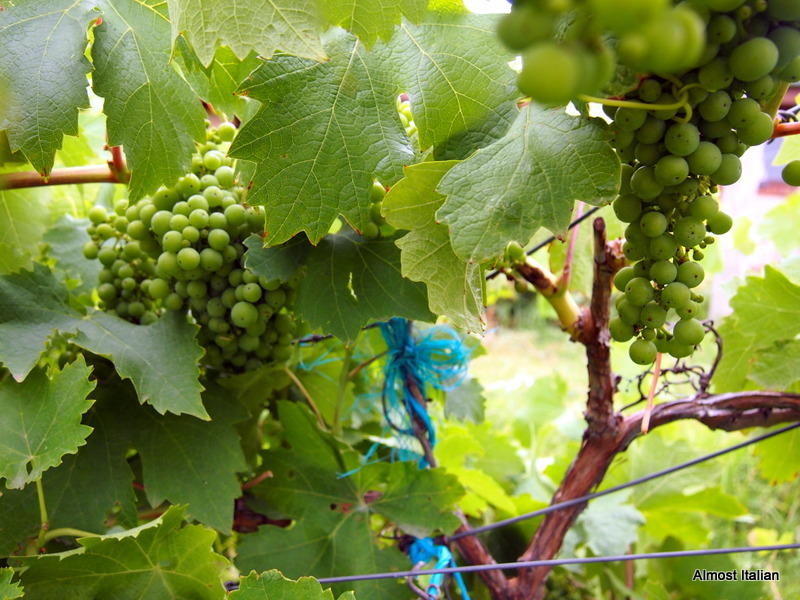 Jobs to do: Net the grapes. Mulch the tomato and pumpkin beds, create another green shade cloth bed for lettuce. 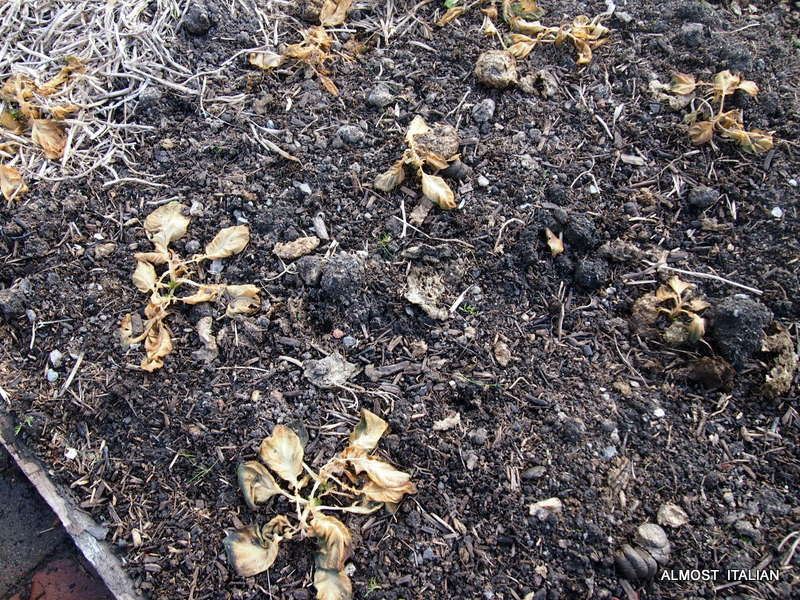 Remove old seeded silver beets. It’s a gardener’s source of inspiration at Lizzie’s The Garden Share Collective every month. Check it out. It’s winter here in Melbourne and the veggie garden was thriving until last week. 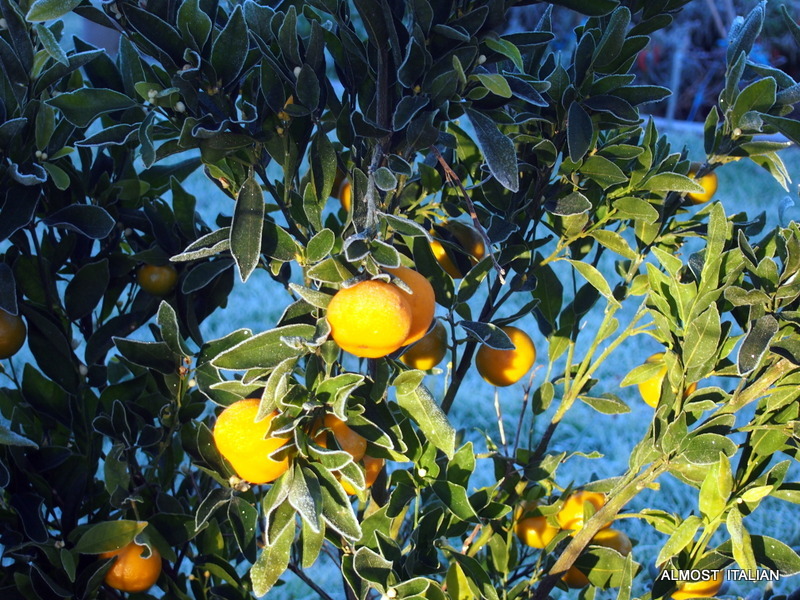 A few severe frosty mornings set some vegetables back as the temperatures dropped below zero, and snow was recorded in the nearby hills. The leaves on the lime trees are now burnt but will survive. Old Jack Frost has killed off the remaining chilli plants and the rows of new potatoes. The frosts in the last two years seem to be more severe than I can remember in past years. 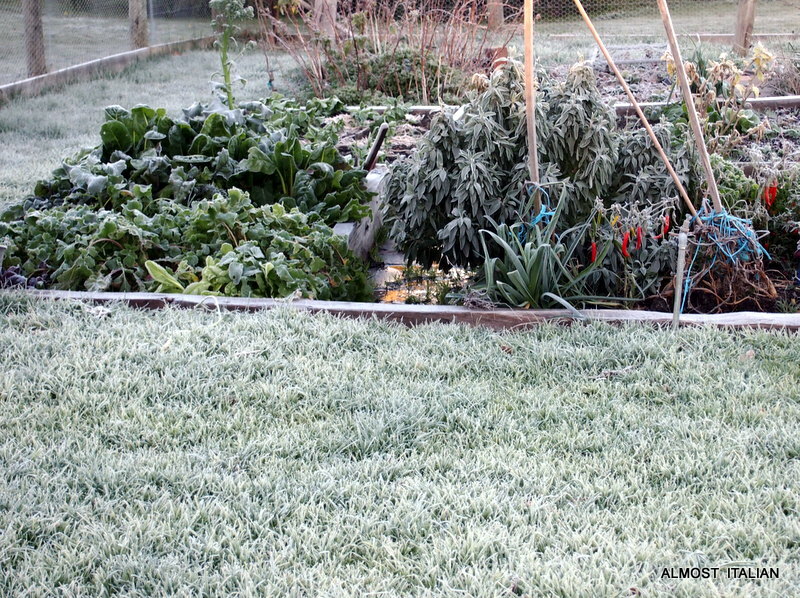 frost covered patch of turnips and lettuce. 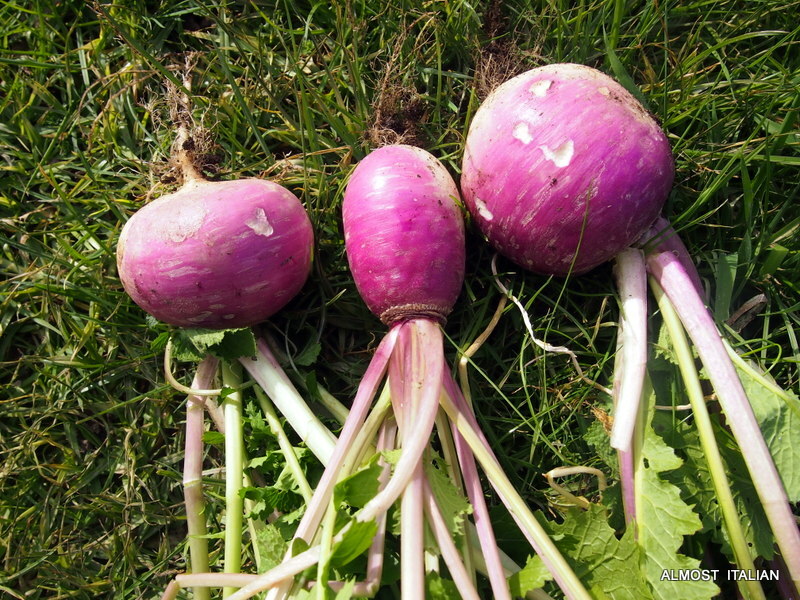 Nothing can kill a turnip which has led to a flurry of turnip recipe experiments. I feel like Tess of the d’Urbervilles, grovelling about the turnip rows. Where is my hessian gown and curtained hood? They are mostly added to old fashioned vegetable soups or roasted. I tried some turnip rostis and I cannot recommend this dish, as gorgeous as it looked topped with sour cream and feathery dill. It was just too turnipy! The cavolo nero ( black kale) has turned into a perennial triffid and needs staking. I don’t mind. I add the leaves to soups and risotto or cook it then add to orecchiette pasta, the latter with garlic, anchovies, EV olive oil, and chilli flakes. 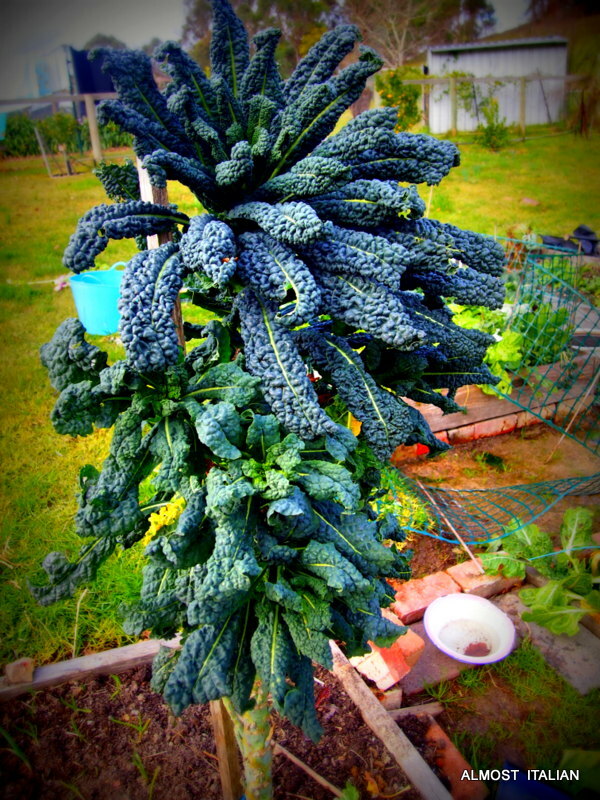 cavolo nero or Tuscan kale. The lettuces are nice and crisp in winter. The Cos are prolific as are the red and copper leafed varieties which are self-sown. 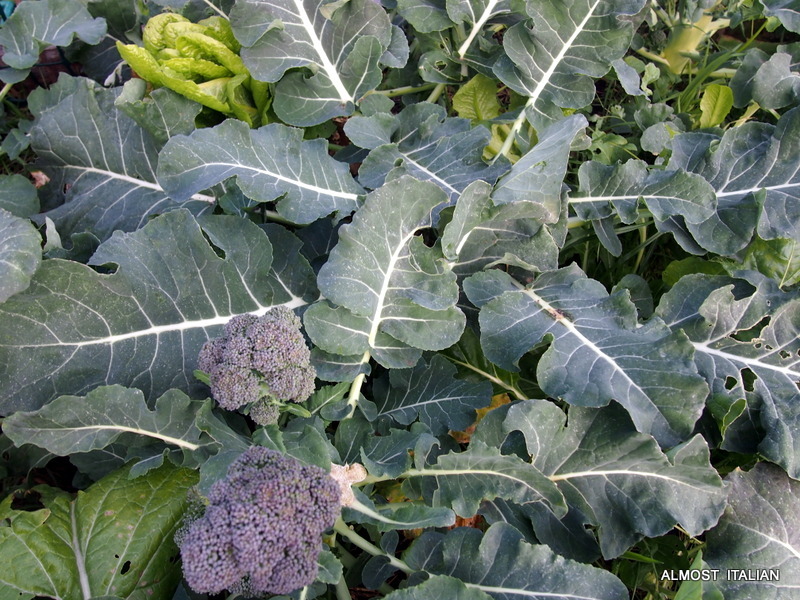 These broccoli were grown from old seed thrown into a bed in late March. We are slowly working our way through the heads and looking forward to some side shoots. Some years ago, I kept a broccoli plant going for 18 months, eating lovely side shoots the whole time. The trick to semi perennial broccoli? Never let the plants flower. This works well if you don’t get that nasty little white butterfly in summer. 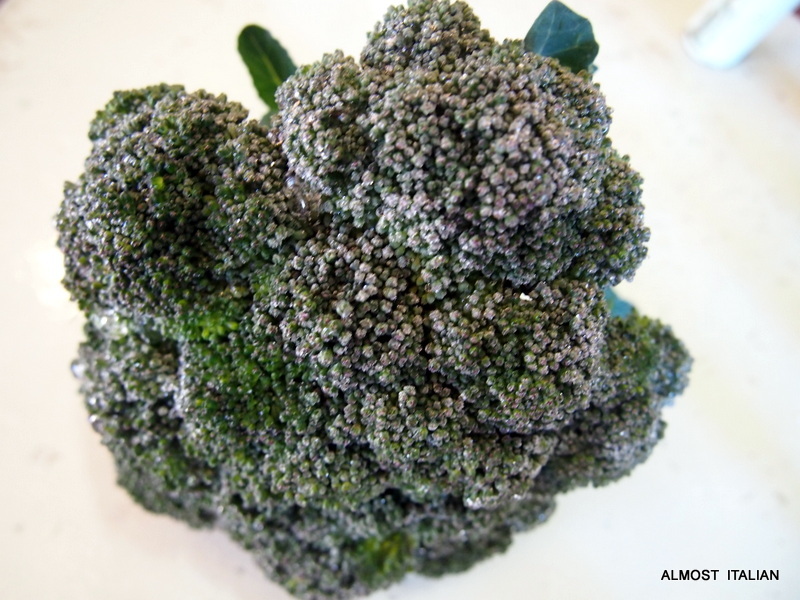 Freshly picked broccoli is nothing like its woody retail counterpart. It only needs two minutes in boiling water, drained, then tossed about in additional chosen flavours. A simple Neil Perry Recipe can be found here. I also love them tossed with a little oil, garlic, soy sauce and a pinch of sugar. 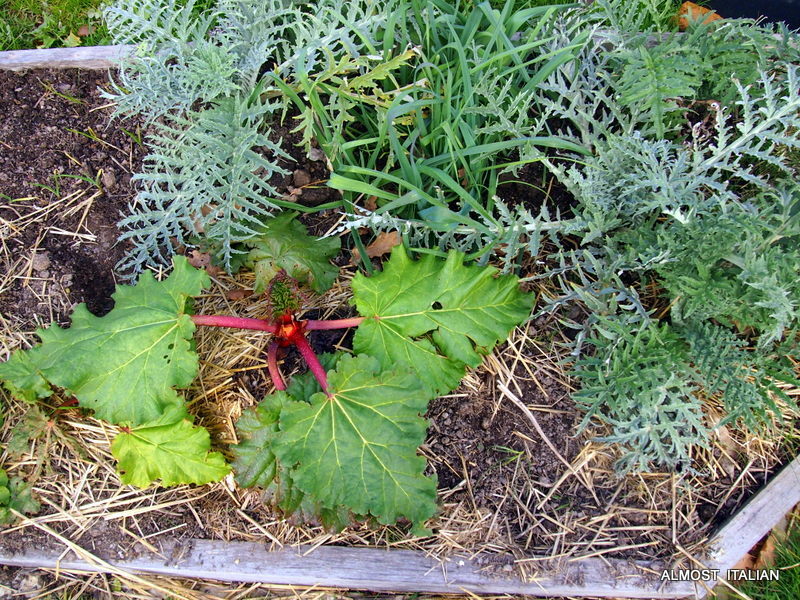 In late May, I moved a whole lot of plants into a perennial bed, artichoke and rhubarb for example. They enjoyed a winter dormant spell and are showing signs of recovering for Spring. The To Do List is always too long. Mulch the garlic before the Spring weeds get a hold. Manure and mulch the perennial bed of rhubarb. Finish off the third compost bin and begin the fourth. Prepare spare beds for Spring planting with ready compost covered with mulch. Espalier the fruit trees in the second chicken run orchard. Urgent Mr T! 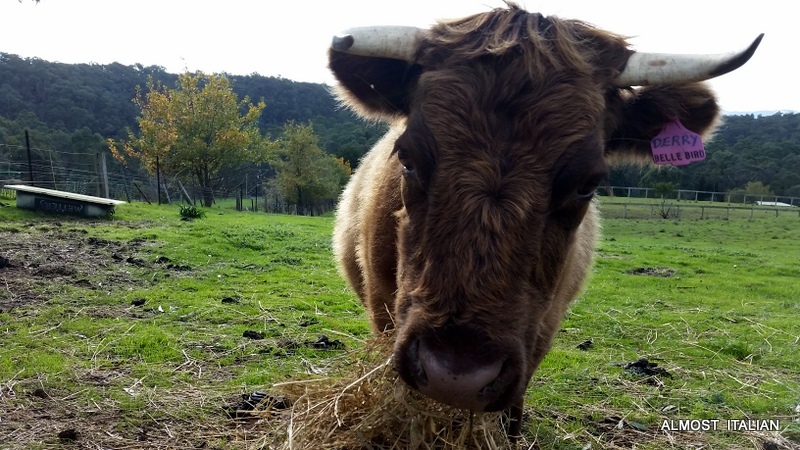 Gather more cow manure from the front paddocks to add to the compost bins with dried leaves and green matter. And on a sad note, here is my favourite Dexter cow, Derry, who gave birth last Sunday to a beautiful shiny black calf. Sadly the calf couldn’t stand to suckle due to a crippled leg. The vet instructed us to take the inevitable course of action. Derry is our lawnmower, pet and keeps us in manure. She has recovered. 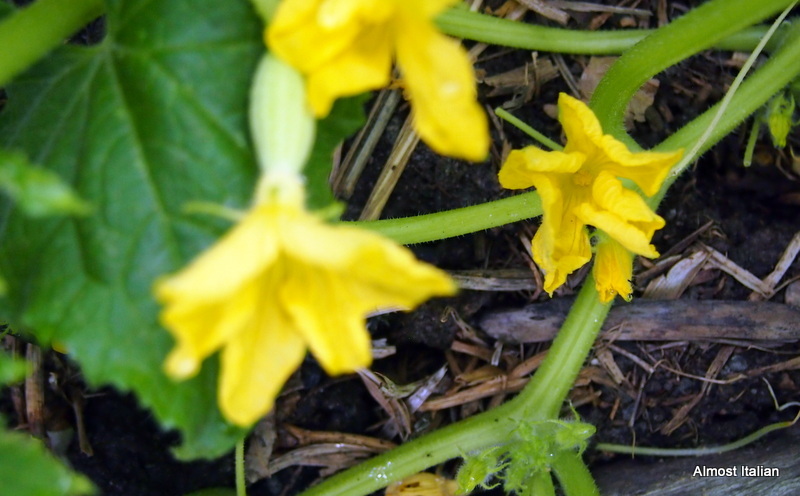 Posted on August 6, 2014 October 9, 2014 Author FrancescaCategories Garden MonthlyTags broccoli, Dexters, limes, manure, mulching, organic, vegetable gardening30 Comments on Garden Monthly. August 2014.